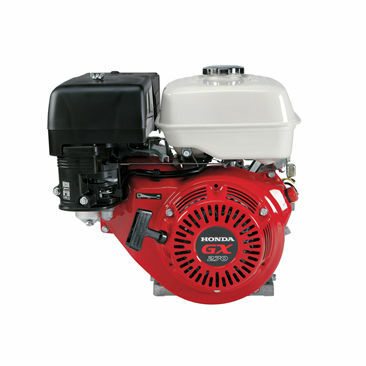 The high quality Honda GX270 OHV engine is used for a numerous amount of tasks such as pressure washers, professional industrial equipment, tillers, generators, water pumps, go Karts, commercial lawn and garden equipment and much more! The GX270 engine is equipped with a CDI ignition system with variable timing and increased compression ratio that when combined with the GX270's precision camshaft design it consequently offers precise valve timing and optimum valve overlap for increased fuel efficiency. The GX270 is made from lightweight, noise-reducing materials and a forged steel crankshaft & rigid crankcase resulting in a super quiet engine. 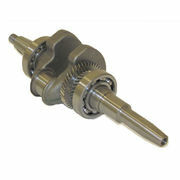 The GX270 features a ball bearing supported crankshaft, cast iron cylinder sleeve, helical cut gears and precision engineered components that in return provide you with an engine that is stable and void of heavy vibration. There are optional extra's available and include; gear reduction options, electric start, spark arrestor and charge & lamp coils with multiple output options. 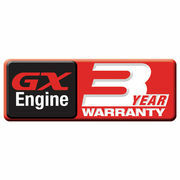 Like all the GX Honda engines the GX270 comes with a 3 year warranty for both domestic and commercial applications. 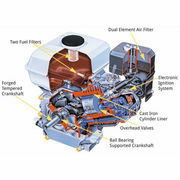 Proving to you that even Honda back their engine in for the long haul.